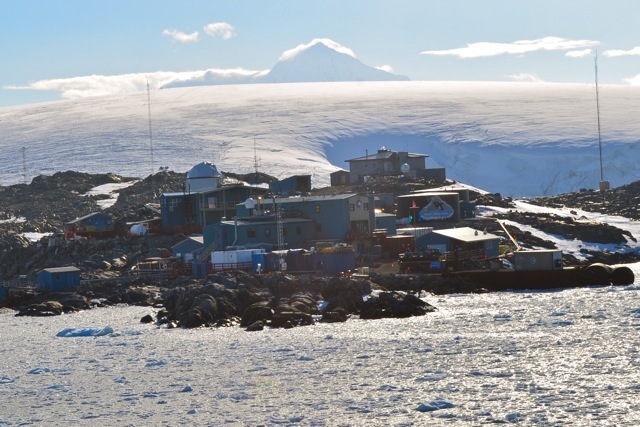 Antarctica Expedition: Finally here, Palmer Station! 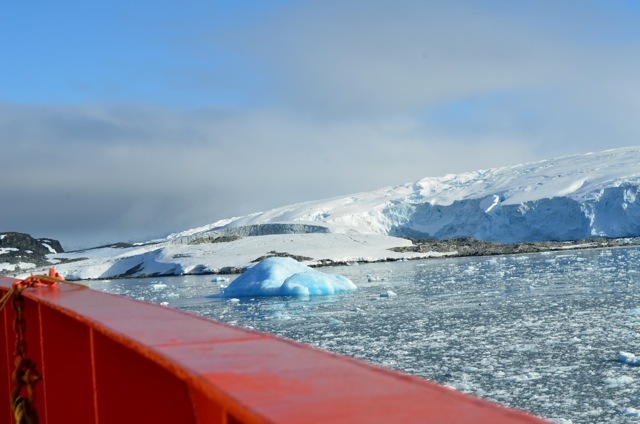 Departing on December 27 included an entire day of flying then four days on the LMG crossing the Drake Passage, a sail through the Bransfield Strait just inside the South Shetland Islands. But I have landed! It seems like it has taken a while to get here, but it is a great feeling and worth the wait. 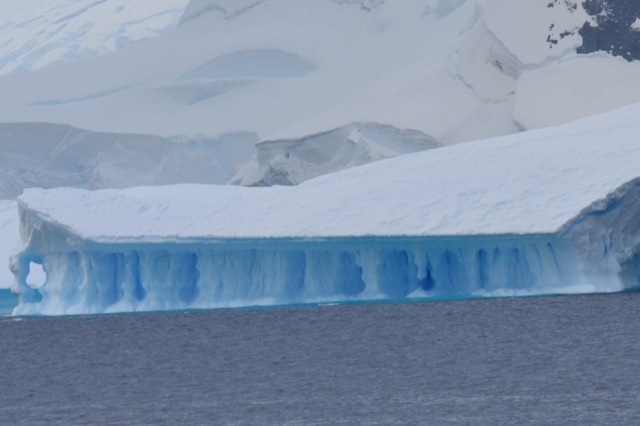 As we were sailing towards the station, we saw some spectacular sights. 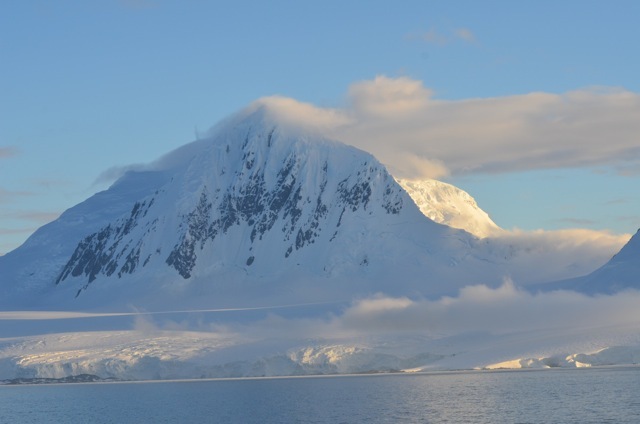 Our path took us past some of the South Shetland Islands located at the northwestern tip of the Peninsula, some rising straight out of the ocean to form tall peaks. Glaciers were everywhere with lots of icebergs floating past us. 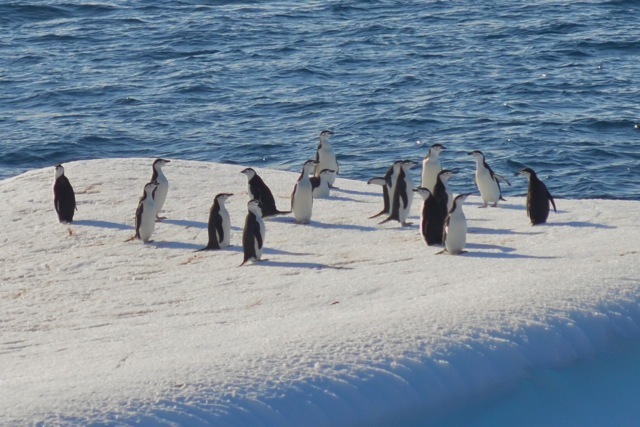 We saw whales, seals and more seabirds, including some chinstrap penguins that were hanging out on an iceberg! In order to arrive at Palmer on time, we sailed through the night and finally arrived at the Station around 7:30 in the morning. Not wanting to miss seeing Palmer for the first time, I got up at 4:30am to watch it come closer and closer. I could see the glacier behind the station before I spotted a building or two. And then….there it was! Palmer! It was time to pull up to the dock. It was official. We were here! 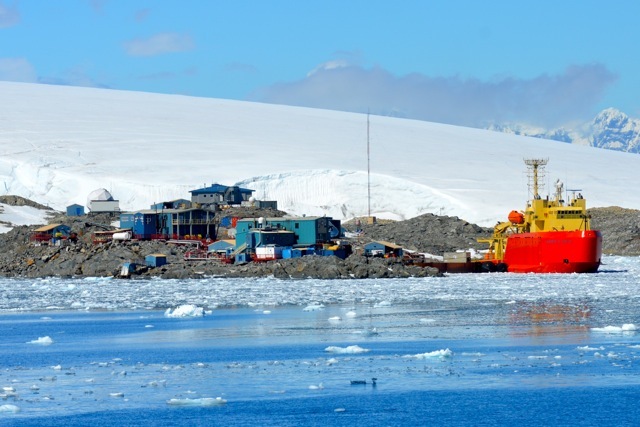 The LMG turned around and slowly backed up to the dock at Palmer Station. It took a lot of people to help tie up a 70m (230 foot) ship! The LMG and station crew worked together to secure the LMG to its home for two days. (See a short video of our arrival.) The gangplank went down and then things got busy! 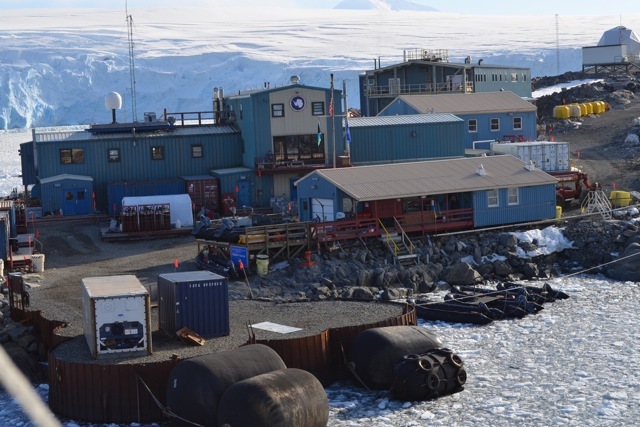 The LMG not only does scientific research at sea but it is also responsible for bringing personnel and cargo to and from Palmer Station. Once we arrived, it took the entire morning and even part of the afternoon to shuttle gear from the LMG to the station and then gear from the station back onto the boat. I felt a little like an ant in a colony; lots of us moving back and forth. Congratulations on reaching the Station, Jo! amazing photos... I looked up Palmer on Google Earth, what a little dot in the middle of the ice! YAY is right! Penguins! You must be in heaven. That's one huge docking line. Now you've joined the ranks of the great explorers!